In this 5-minute podcast interview, instructor Nancy Lewars entertainingly describes how she originated her Liberation Laughter Class after studying improv and improvisational exercises. You are invited to join her beginning class at the Senior Center in Waterfront Park, in Winslow, on October 6 at 2pm. There’s also an ongoing class that you can join starting Friday October 3 at the same location. Her original class has been popular for three years. 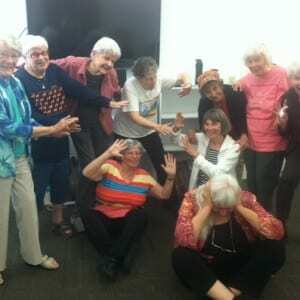 Nancy Lewars is the instructor for the Liberation Laughter Class at the Senior Center. In this podcast interview with BCB volunteer radio host Joanna Pyle, Nancy describes what goes on in class. Liberation Laughter is not about competing or being eliminated or winning or performing. 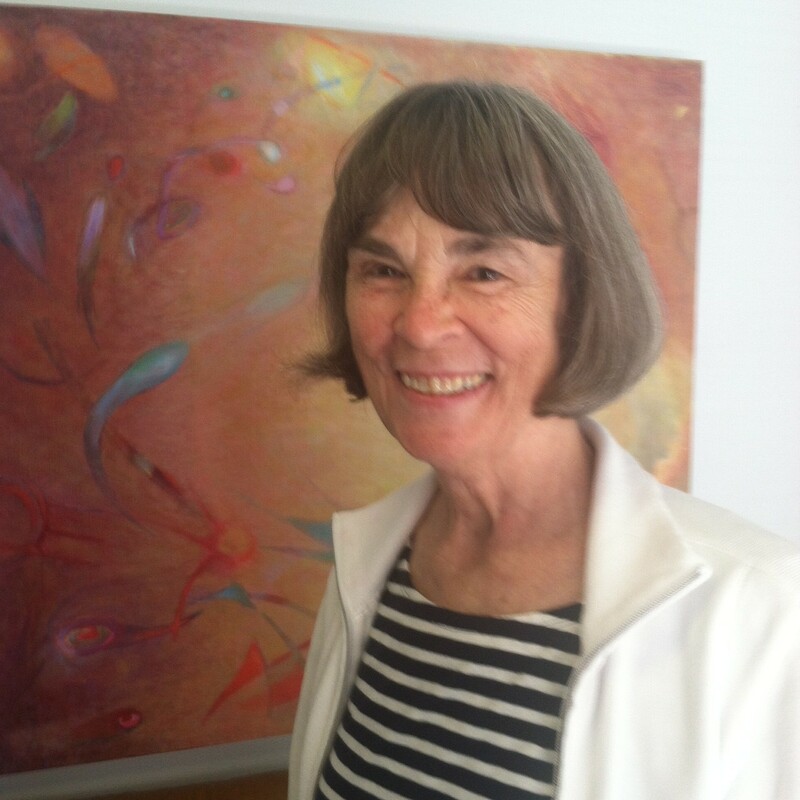 Nancy’s teaching skills create an atmosphere wherein the group activates play and laughter that enlivens and enlightens participants and observers. The group becomes their own audience appreciating and supporting each other’s uniqueness in a totally non-judgmental play for grownups! Classes are free, but donations for the Senior Center are accepted. Register at the 50+ Center by calling 206 842-1616 or visiting the website. Participants having fun at one of Nancy Lewars’ previous classes. Membership in the Senior Center for anyone over age 50 costs only $12 per year. That includes, at no extra charge, a periodic newsletter describing a large variety of events and activities. By email, inquire at info@biseniorcenter.org or stop in at the Waterfront Park Center on any weekday.